Unbelievable value at its best on the eastside! 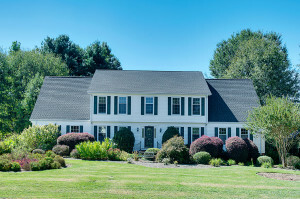 In the much sought after foxcroft community, this well-maintained 4k + sq ft, 5 br, 3 full / 2 half ba traditional home on a 0.5+ acre lot is a fabulous find! It offers 2 master suites (upper & lower) as well as a bonus/rec room with closet, which could be a 6th br. The bonus room also has a separate stairway entrance by way of the kitchen. Ideal for multi-generational families! Upon entering the home, an elegant foyer provides a warm welcome to you & your guests. To one side of the entranceway thereâs a formal lr & to the other a formal dr. Both promote the perfect setting for entertaining friends & holding family gatherings. Gleaming hardwoods flow from the foyer thru-out the formal areas. In a large, family-oriented home such as this one, the kit serves as one of the main gathering places & this one is well-suited for this purpose. A stunning, picturesque, greenhouse window in the kit/bkfst area allows an abundance of natural light to gently bathe the room giving it a light & airy atmosphere. An oversized island offers extra work space & storage as well as an informal eating area. Other features include double ovens, gas cook top range, plenty of cabinets & a built-in desk provides another area for work space/storage. Just off the bkfst area is a walk-in laundry room with built-ins & access to the side entry 2 car garage. Adjacent to the kit, the unexpected rich detail of the wood-burning fireplace with decorative mantle & tile hearth makes it a focal point to this already cozy family room. Wainscoting adds to the intimate atmosphere providing a perfect place to relax after a long day. From the family room, enjoy easy access to the outside patio & back yard. Adjoining the family room is the lower master suite. The current owner used this master suite as a large private office complete with built-ins & custom bar. With 2k+ sq ft on the upper level, all of the brâs are nicely oversized! The 4brâs & bonus room provide ample room for everyone & 2 separate stairways allow for easy access & traffic flow. From atop the main front staircase, a landing overlooks the foyer & has built-ins at the top of the stairs. Custom built-ins also adorn 1 bedroom making for an excellent study area. The bonus room is another ideal spot for family activities. In addition to the spacious living quarters, the large, level 0.5 acre lot with mature landscaping adds to the allure of the home. The fenced in back yard is ideally suited for kids play & pets & even has room for a garden! So whether grilling out on the patio or watching the kids play, the private back yard has room enough to do it all. Updates include: architectural roof, vinyl soffit & fascia, gutter guards, vinyl siding, all new windows, freshly painted interior & garage floor,refinished hardwoods in foyer/lr/dr & carpets cleaned. Additional features include: side entry 2 car garage, sprinkler system (front/back), walk-in laundry room, & under termite bond (terminex). Donât miss out on the opportunity to live in the wonderful family-friendly foxcroft community with such desirable amenities as pool/tennis courts, playground, clubhouse & athletic fields. 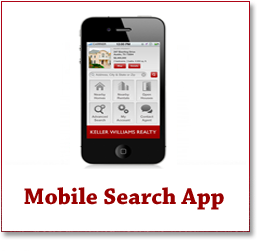 Conveniently located near shopping, restaurants, & top rated schools.